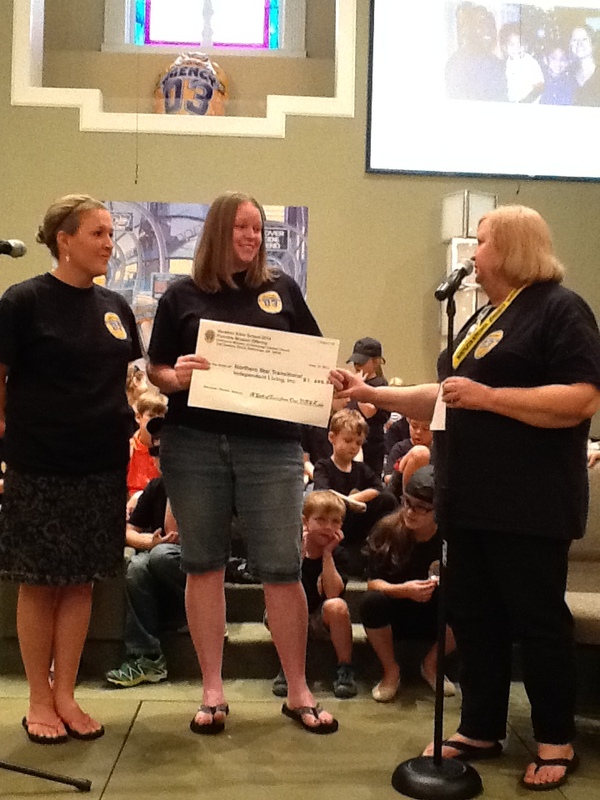 Dahlonega Baptist Church VBS supports Northern Star with surprise donation! With over 200 children attending Vacation Bible School (VBS) at Dahlonega Baptist Church this summer, the competition was on to see which class could raise the most money to support a “mystery” children’s organization in the community. This was part of the children’s mission this week, which they achieved – coming in well beyond their goal! 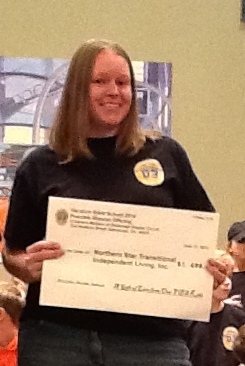 During Family Night on June 13th, while celebrating the close of an amazing week of VBS, the children’s director, Velvie Banister, revealed that Northern Star was chosen as the “mystery” organization to receive the money collected by the children during the week. Lindsey Oliver, Chair of the Northern Star’s Board of Directors, and Mandy Williams, the organization’s Executive Director, were honored to receive the donation, which totaled $1698 from the children, families, and volunteers of VBS. Ms. Banister went on to challenge the families in attendance to see if they could get the total money collected for the week to reach $2000, and by the end of the night donations had exceeded the $2000 challenge! Northern Star would like to thank all of the children, families, volunteers, and directors of VBS for this amazing donation. Your support means so much to us!